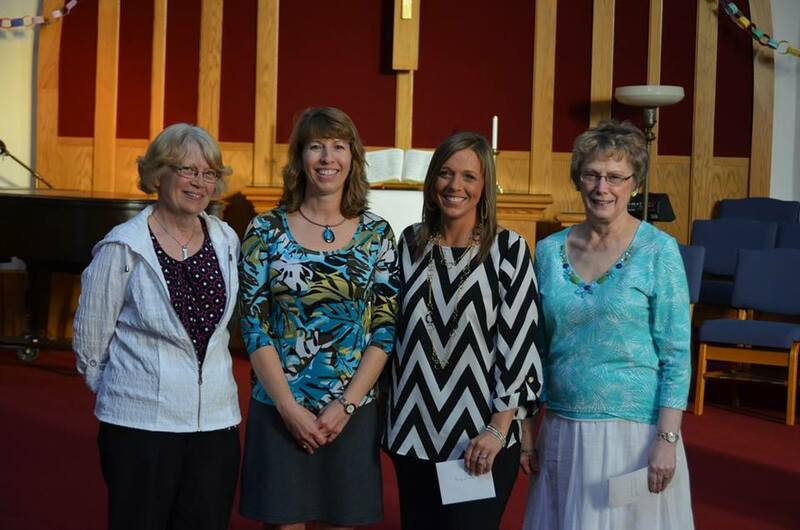 The Women’s Fellowship from First Congregational, United Church of Christ held their annual May dinner on Wed., May 21, and attendees were treated to good food, fellowship, and a powerful presentation on human trafficking. 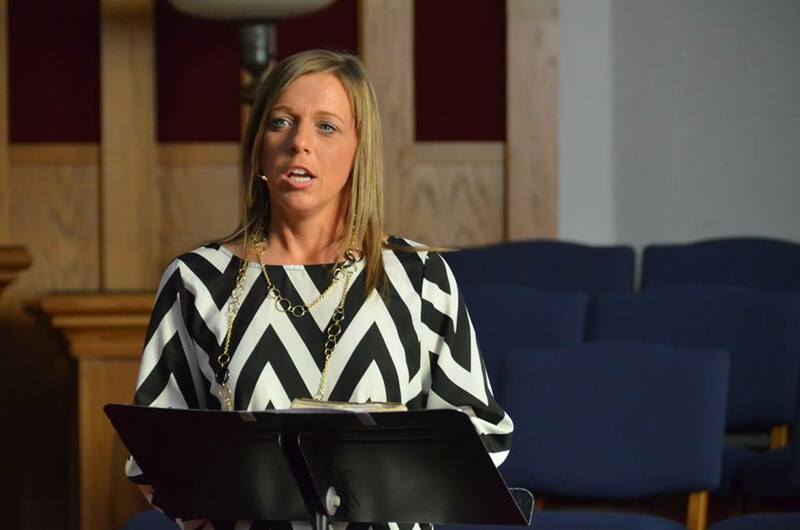 The guest speaker, Joy Fopma, shared testimony of her work with the rescue organization “Wings of Refuge”. This organization seeks to rescue and restore female victims of trafficking by offering them safe shelter and the opportunity to learn new life skills. Following her presentation the Women’s Fellowship presented Joy Fopma and her co-worker Paula Nugent with $500 to benefit “Wings of Refuge”. 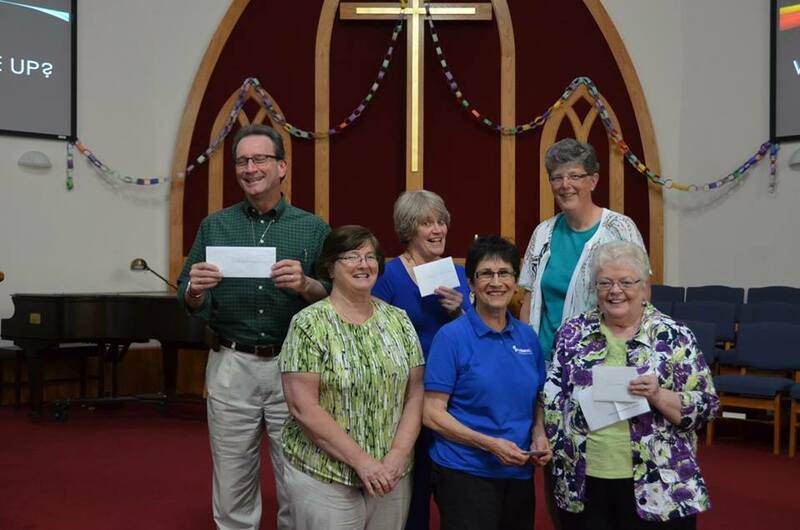 The churches Women’s Fellowship continued to disburse gifts to various organizations: $1000 to OCWM (Our Churches Wider Mission), $250 to UDMO for swim passes, $300 to Beacon of Hope, $300 to A.C.E., $300 to the Webster City Free Clinic, $500 to Youth and Family Services, $400 to Kids Against Hunger, $100 to Crimestoppers, $200 to the Stepping Forward Ministries/Romanian Mission Trip, and $150 to the WC Summer Lunch program. A total of $3000 was given by the group from their fundraising through the year. To raise the funds they host Thrift Sales in the fall and spring, and each circle contributes as they are able. As the Women’s Fellowship ends its program year for the summer, we invite anyone interested in joining a circle to please contact the UCC church office at 832-2232.